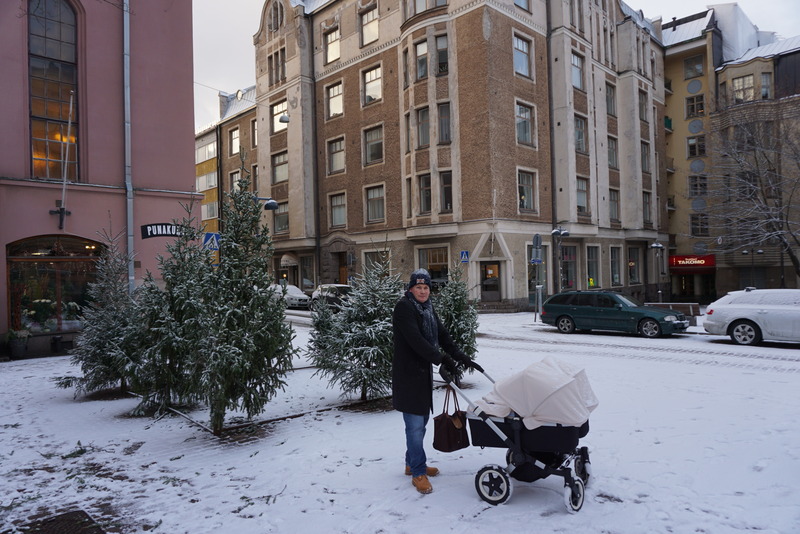 We spent 4 weeks in Finland over Christmas and this put our Donkey through the ultimate test. In Helsinki it was still going good, there was a little bit of snow on the ground and a couple of minus degrees, no problem. 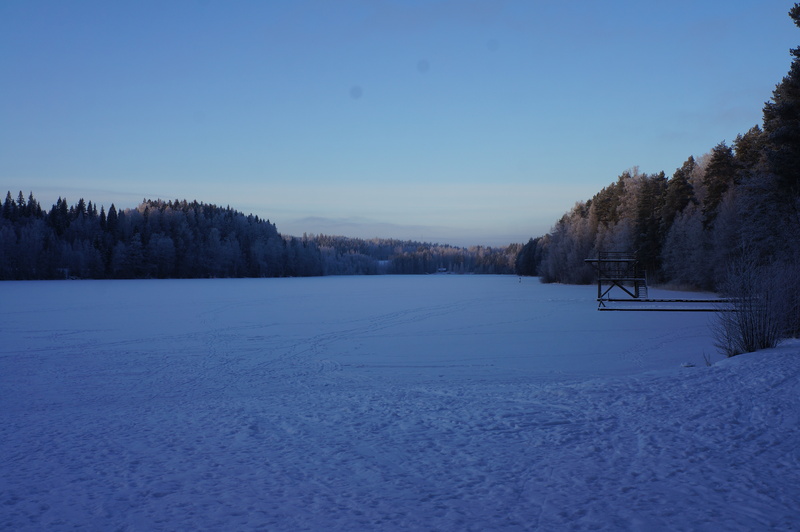 Then we traveled to my hometown about 3 hours north of Helsinki and suddenly the weather got a lot colder. When it got to -15 degrees our trusted Donkey came to a halt. Its front wheels froze and we had to look at alternative methods of getting around. 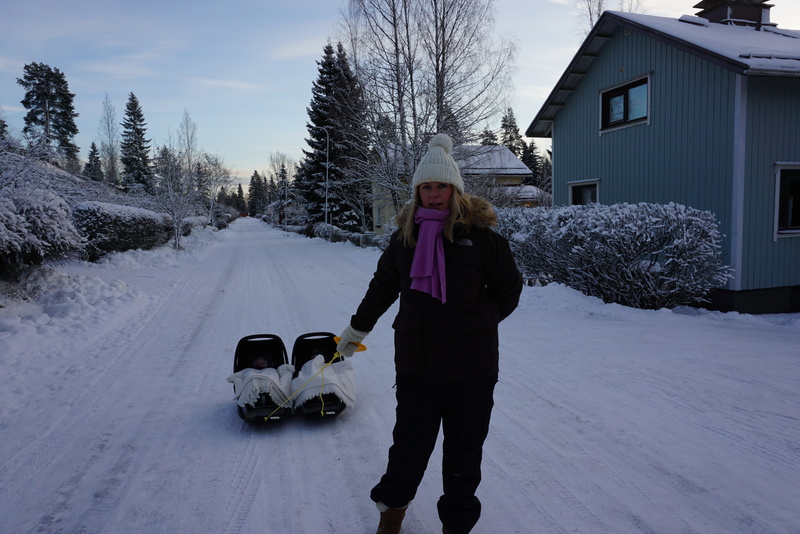 When you have two babies to transport you can’t use a baby carrier unless you are two people and to be honest with my already sore back I try to avoid carrying my almost 10kg babies as much as I can. So what to do? 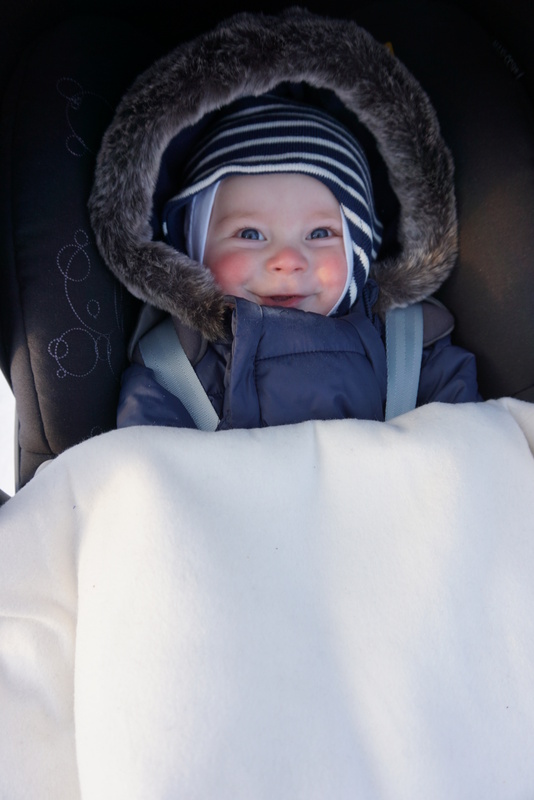 Well we took our Maxi-Cosi car seats and put them on sleighs. 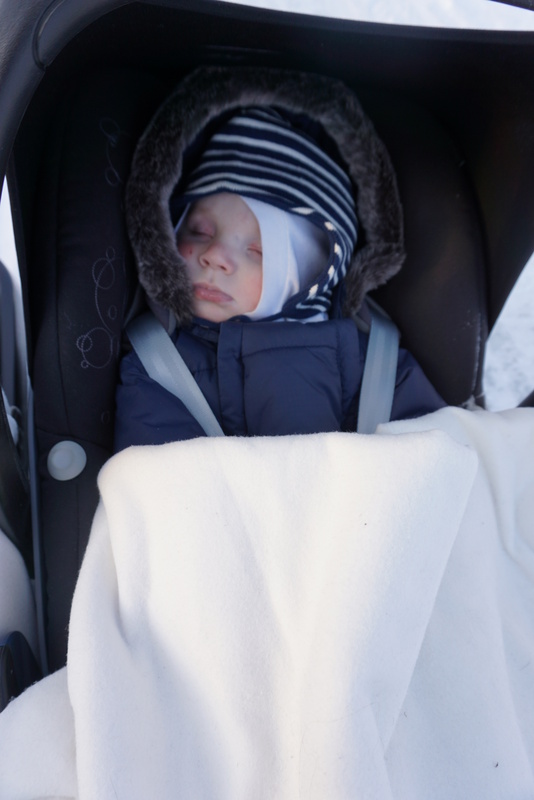 The boys were strapped into the car seats and tucked under blankets to keep warm. 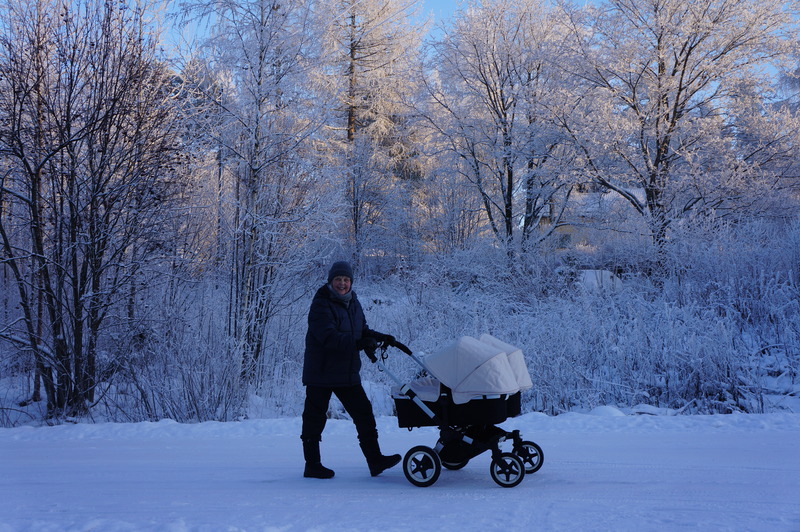 Little chaps proved that 50% of their blood is Finnish as they seemed to love this winter adventure.